As of July 2011, a survey found that Flash Player had 99% market penetration in desktop browsers in "mature markets" (United States, Canada, United Kingdom, France, Germany, Japan, Australia, and New Zealand), while Shockwave Player claimed only 41% in these markets. As of 2008, Adobe Flash and Adobe AIR are preferred alternatives to Shockwave, with its 3D rendering capabilities, object-oriented programming language, and capacity to run as a native executable on multiple platforms. 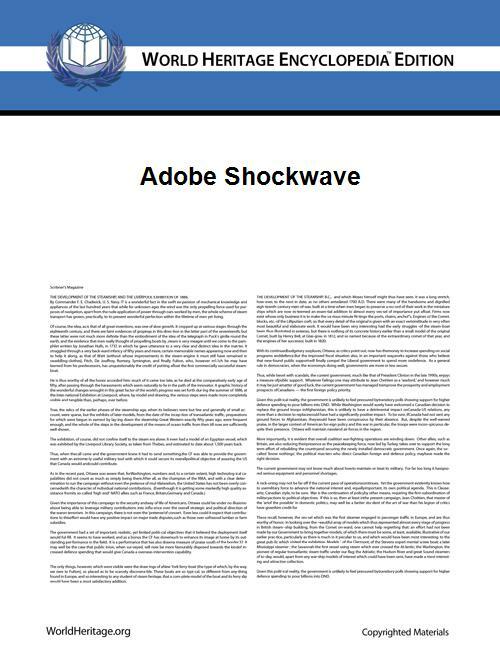 Shockwave originated with the VideoWorks application developed by MacroMind for the original Apple Macintosh. Animations were initially limited to the black and white of early Macintosh screens. VideoWorks was rebranded as Director 1.0 in 1987. Director 2.2 was released in 1988, and included the Lingo scripting language with extensibility provided by Xtras. A Windows version was available in the early 1990s. Director 3.0 was the last version by MacroMind, and released in 1989 which introduced XObjects to Lingo. Shockwave Player had still not been developed, and the sole means of publishing content remained generating executable applications. In 1993, Macromedia acquired MacroMind, and took over the development of the Shockwave platform. As the Internet became more popular, Macromedia realized the potential for a web-based multimedia platform, and designed Shockwave Player for the leading web browser of the time, Netscape Navigator. Shockwave Player was released with Director 4.0 around 1995, and branded Shockwave Player 1.0. Its versioning has since been tied to Director's versioning, skipping versions 2 to 4. Shockwave was now a two-part system, a graphics and animation editor known as Macromedia Director, and a player known as Macromedia Shockwave Player. Macromedia Director quickly became the de facto production tool for the multimedia industry, and throughout the 1990s it was credited with the creation of the majority of educational CDROMs. Director was preferred over competing applications due to its range of features, relative ease of use and its ability to publish executables for both Apple and Microsoft operating systems. Point-and-click graphic adventure games were common at the time, and Director was commonly used to develop such titles. From 1995 to 1997 a competing multimedia authoring program appeared called mTropolis (from mFactory). In 1997, mTropolis was purchased and buried by Quark, Inc., who had its own plans into multimedia authoring with Quark Immedia. In November 1996, Macromedia acquired FutureWave Software and its FutureSplash products. Macromedia Flash 1.0 was released shortly thereafter. Macromedia now controlled two of the three leading multimedia platforms for the web, with Java being the third. Macromedia Director 8.5 was released in 2001 and was the first version to specifically target the video game industry. It introduced 3D capabilities, 3D text, toon shading, Havok physics, Real Video, Real Audio, integration with Macromedia Flash 5, behaviors, and other enhancements. 3D modelling programs such as LightWave, Cinema 4D and 3D Studio Max were upgraded to export 3D models for Shockwave. As of 2001, over 200 million people had the Macromedia Shockwave Player installed, making Shockwave a common format for online video games. Websites such as Miniclip and Shockwave.com were dedicated to Shockwave and Flash-based video games. Macromedia was acquired by Adobe Systems in 2005, and the entire Macromedia product line including Flash, Dreamweaver, Director/Shockwave and Authorware was now handled by Adobe. Director and Shockwave Player is currently developed and distributed by Adobe Systems. The early 2000s saw a demise in the usage of Director/Shockwave, and most multimedia professionals preferred Macromedia Flash and other competing platforms. 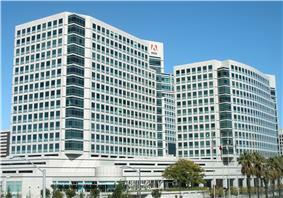 After the Adobe acquisition, no new versions were released for four years. In 2007, Adobe released Adobe Director 11, the first new release in four years. It introduced DirectX 9 native 3D rendering and the AGEIA PhysX physics engine, panel docking, Quicktime 7 support, Windows Media and RealPlayer support, Adobe Flash CS3 integration and Unicode support. It was considered an "incremental release" by reviewers and the scripting editor was still considered "primitive". As of 2008, the market position of Director/Shockwave overlapped with Flash to a high degree, the only advantage of Director being its native 3D capabilities. However, with the release of Flash Player 11, GPU-based 3D rendering was now supported using Stage3D (the underlying API), Away3D or Flare3D (3D game engines). And after Adobe AIR was released, Flash programs could now be published as native applications, further reducing the need for Director. Xtras are plug-ins for the Lingo scripting language, that enable additional functionality into a Shockwave project. Xtras are typically used to add file system I/O, hardware integration, and advanced multimedia functions. Xtras are supported and available for Adobe Director, Adobe Authorware and Adobe Freehand. Many of Director's own functions are implemented as Xtras. Xtras use the Macromedia Open Architecture which was designed to allow easy creation of interchangeable components between Macromedia products. Adobe maintains a list of third party Xtras. Xtras for Microsoft Windows (32-bit) have an .X32 file extension. Xtras for Mac OS generally have an .XTR extension. The file extension *.X16 is reserved for Xtras for Microsoft Windows (16-bit). ^ Adobe Software License Agreement. Retrieved November 10, 2011. ^ Elia, Eric (1996). "Macromedia unveils Shockwave and Director 5". HyperMedia Communications. ^ Kelly Hart; Mitch Geller (2008). New Perspectives on Dreamweaver CS3, Comprehensive. Cengage Learning. p. 429. ^ "Flash content reaches 99% of Internet viewers". Adobe. Retrieved 2014-08-07. ^ Adobe Director 11 review, Page 2, KEVIN PARTNER, 1 May 2008, PCPro Magazine, "Adobe's AIR technology makes it possible to deploy Flash as a desktop application"